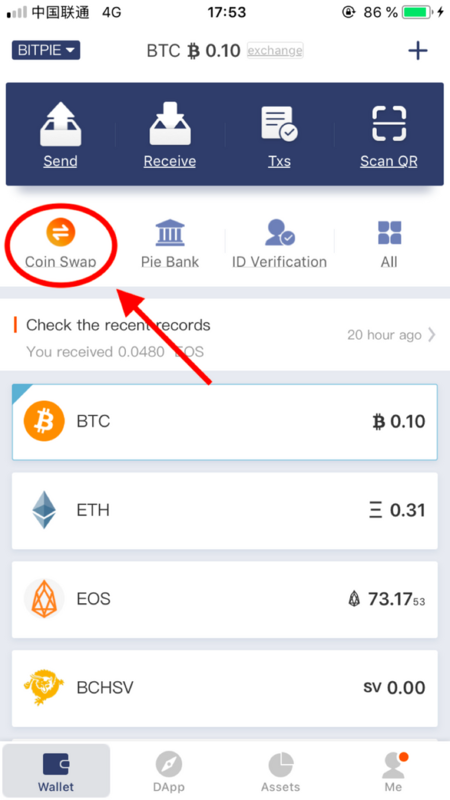 Before you swap EOS stable coins, you need to have an EOS account to receive. 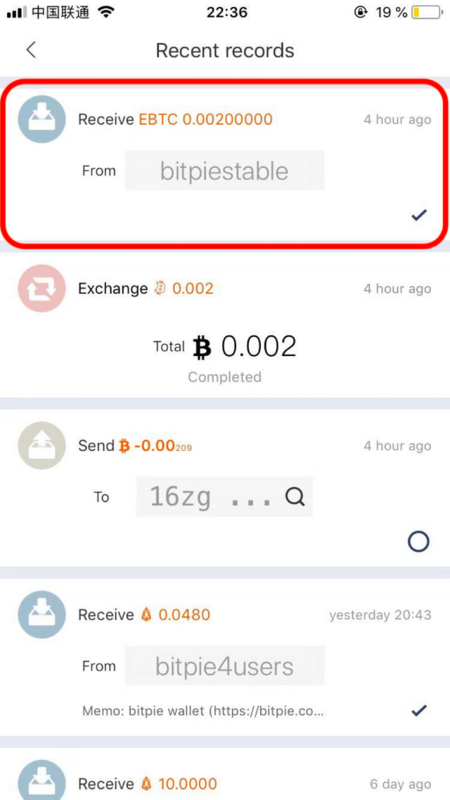 You should send BTC/ETH/USDT from other places to your Bitpie wallet. Picture 3. Choose the coin you want to swap. 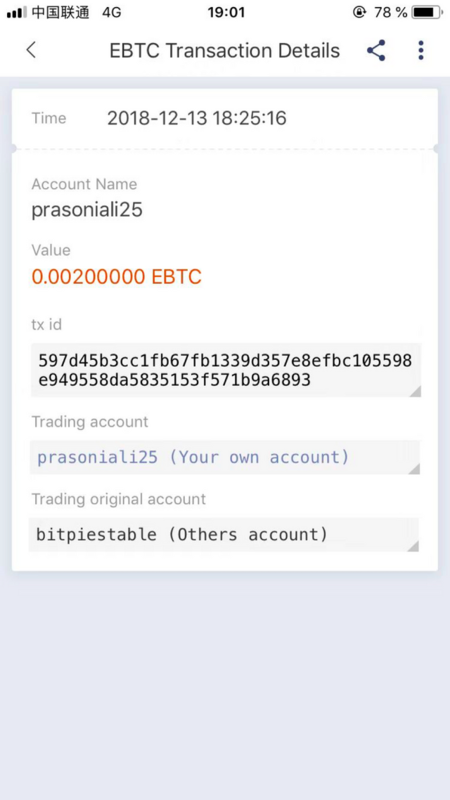 For example, I am swapping “BTC” into “EBTC”. Picture 4. A confirmation message pops up to confirm the information. Picture 5. 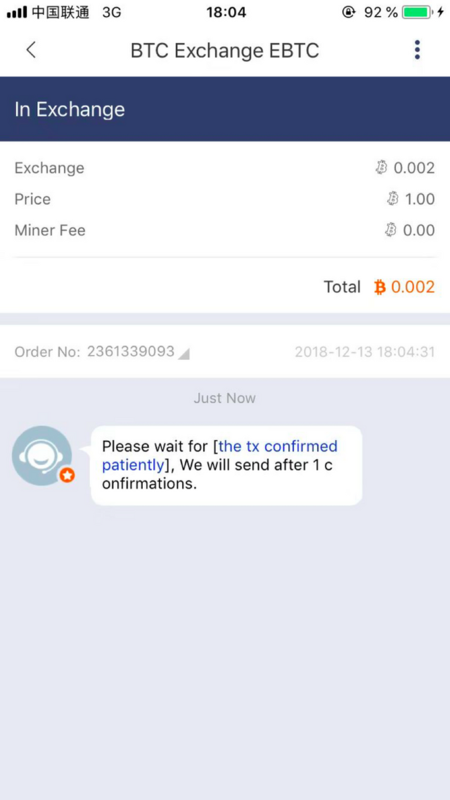 Wait the transaction to be confirmed, click on the message to view details. Picture 6. Each coin has different numbers of confirmation and trading time. 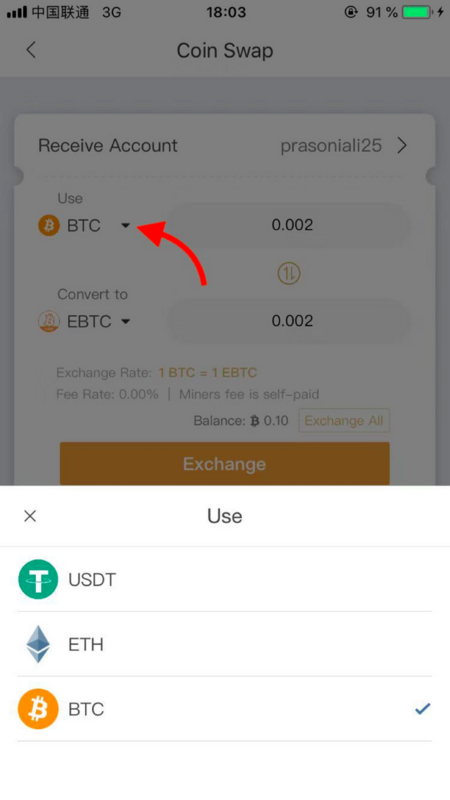 The confirmation time depends on the BTC or ETH network condition. Picture 7. 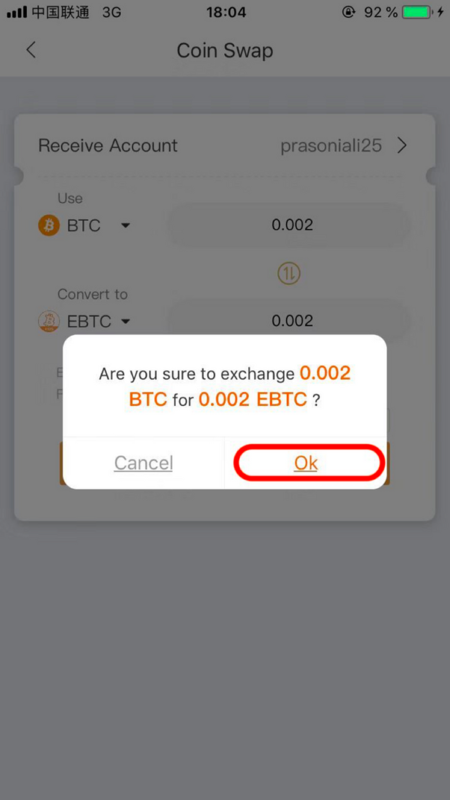 After the confirmation, you will receive the amount in the wallet. Picture 8. 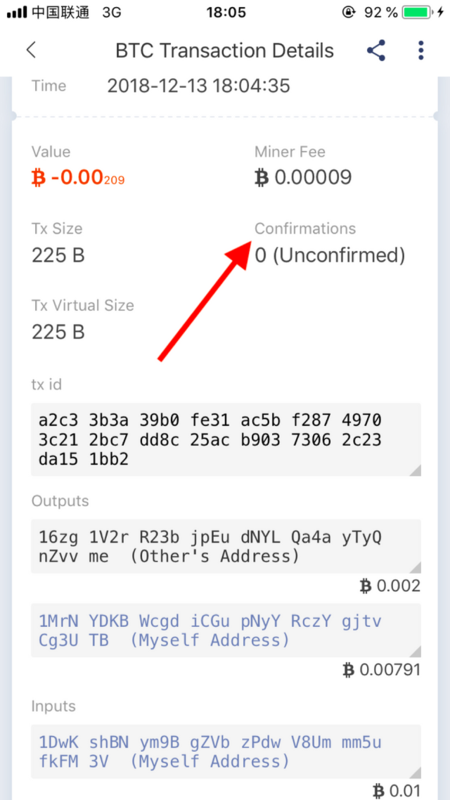 Transaction information can be found in Transaction Details. 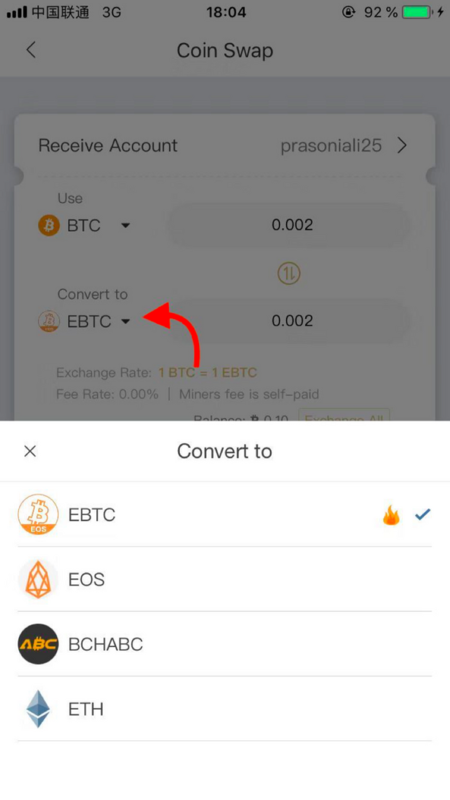 On Dec.12 2018, Bitpie launched the Swap Gateways for Stablecoins: EBTC, EETH and EUSD on EOS in Bitpie Wallet.